More than 6 million Americans live with disabilities following a stroke. Even mild strokes can leave survivors with arm and leg weakness, poor muscle control and memory lapses that worsen with age. Now UCLA neuroscientists have found that patients born without a gene called CCR5 recover better from mild stroke than patients with the gene. The team partnered with Israeli researchers to study the missing gene's effect on brain function. Published Feb. 21 in the journal Cell, the findings could lead to the first pill to reverse the physical and mental aftermath of mild stroke. "This is the first time that a human gene has been linked to a better recovery from stroke," said senior author Dr. S. Thomas Carmichael, chair of the neurology department at the David Geffen School of Medicine at UCLA. "Our discovery offers exciting potential for improving patients' health and enhancing their quality of life." CCR5 plays multiple roles in the body. In HIV, the gene unlocks the cellular doorway that the virus must enter to infect the immune system. It's also the same gene that Chinese scientists reportedly altered with a genetic engineering technique known as CRISPR to edit human embryos. The current study builds upon earlier UCLA research in mice showing that suppressing CCR5 enhances neurons' ability to form new connections and rewire the brain after injury. Led by UCLA neurobiologist Alcino Silva, the 2016 study also demonstrated that maraviroc, an FDA-approved drug that targets CCR5 to slow HIV progression in patients, improved learning and memory in mice. Because maraviroc blocks CCR5, Carmichael and his team hypothesized that the drug may also accelerate recovery from stroke. His lab partnered with pharmacologist Esther Shohami at Hebrew University to test the drug's effectiveness in suppressing CCR5 in a mouse model. "We found that maraviroc blocked CCR5 in mice and boosted the animals' recovery from traumatic brain injury and stroke," said Carmichael, a member of the UCLA Brain Research Institute. "The big question left to answer was whether eliminating CCR5 would produce the same results in people." Knowing that CCR5 deletion is common in Ashkenazi Jews, Carmichael and his team reached out to researchers at Tel Aviv University. In a lucky coincidence, the Israeli scientists were already following 446 stroke patients in an observational study. Led by neuroscientist Einor Ben Assayag, the study focused only on patients who had suffered mild or moderate strokes. Her team documented the patients' improvements in walking, arm and leg control, and other types of movement. "Einor's lab had the patients' blood samples and was evaluating their recovery from stroke after intervals of six months, one year and two years," said Carmichael, who is also co-director of the Eli and Edythe Broad Center of Regenerative Medicine and Stem Cell Research at UCLA. "People missing the CCR5 gene showed significantly greater recovery in motor skills, language and sensory function." One year after stroke, patients missing CCR5 also scored higher in tests assessing memory, verbal function and attention. Neurons produce CCR5 only during or after stroke. The CCR5 deletion appears to promote recovery by enhancing plasticity—the ability of the brain to rewire itself after injury. 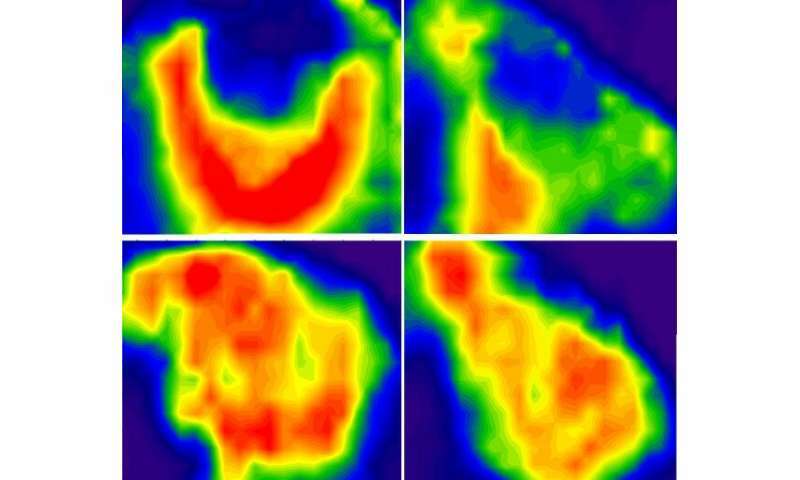 "When you suffer a stroke, part of your brain dies, severing those cells' connections with neurons in other regions. That's why stroke patients often suffer paralysis or lose speech," Carmichael said. "When CCR5 is missing or blocked, neurons can make new connections and rewire the brain, enabling patients to regain some lost function." The scientists' next step will be to launch a clinical trial testing the effectiveness of the drug maraviroc on stroke patients with the CCR5 gene.